"Co" is the Vietnamese word for "feast". 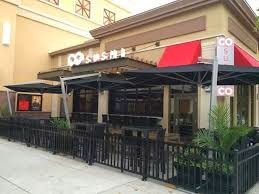 And Co Sushi at the Market Commons in Myrtle Beach definitely offers a feast for the eyes and the belly. 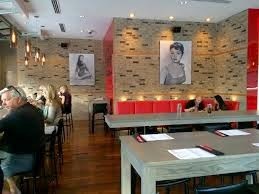 Its a hip and modern little place where the sushi is delicious, unique, and is presented as beautifully as a work of art. We began with a tako poke...octopus ceviche which was served on a bed of greens, with a creamy citrusy sauce called furikake, a touch of lime and green seaweed, accompanied by plantain chips and sweet potato chips. The chips were sweet, salty and crispy. And I don't know exactly what's in that sauce but I could totally drink that stuff!! Then a mixed plate of nigiri...ebi (shrimp), unagi (bbq eel), and ikura (salmon roe). I love how the roe pops in your mouth like a little briny bubble! Beautiful and fresh! We also tried pressed sushi, something I’ve never seen before. The rice is a little different than with most sushi. Its called maze gohan rice and wasn’t as sticky and was more brown. It was topped with thin slices of salmon and avocado, a creamy lemon aioli sauce, and tiny lemon wedges. Very unique...creamy and fishy (in a good way) with a bright zing from the lemon. Delicious!! Some of the absolute best sushi I've ever had! Back to the room for leftover churros for dessert! Pablo gave Co Sushi 4.5 ants!! Yumm!